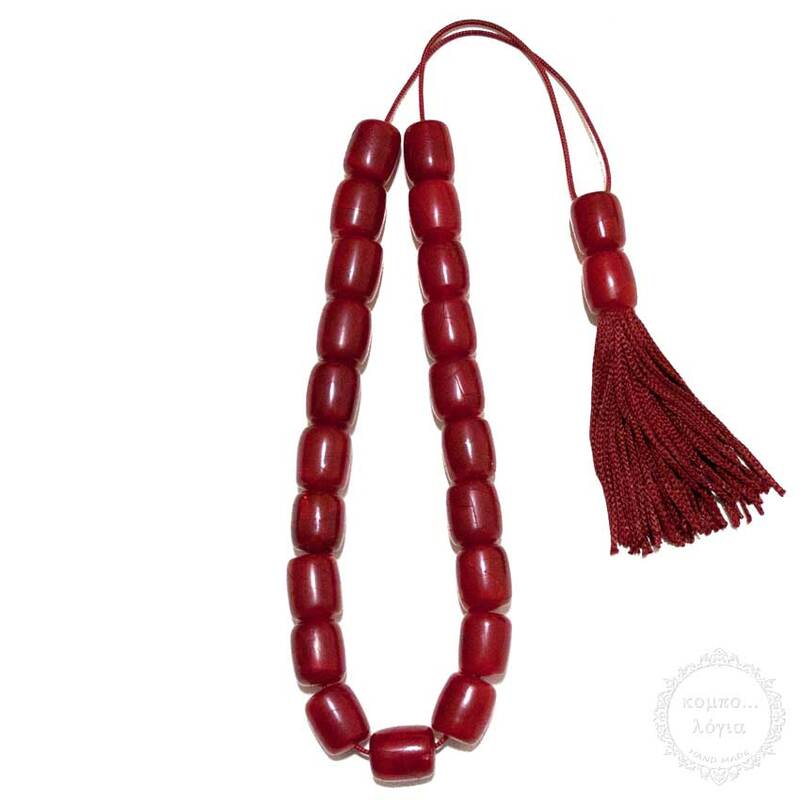 A unique collectible old Faturan handmade komboloi created with 21+2 old Faturan beads in barrel shape of 13x16mm diameter, 36cm total length, 29cm + 7cm natural silk tassel, and 52g total weight. Excellent quality AAA+, very old and rare Antique Faturan beads with a slight smell. Very nice warm touch and beads produce enchanting sounds. It comes with a leather vintage gift pouch. The “legendary” definition of FATURAN sometimes referred to as Amber Faturan is as follows, a mixture of natural amber, resins and incense. The technique of sticking together the shavings of amber together with a mixture of secret natural resins and incense to turn it into a solid material is unknown until today. This method was invented by an Arab named Faturan in the 19th century some even go as far as the 17th century, and that material carried his name ever since.